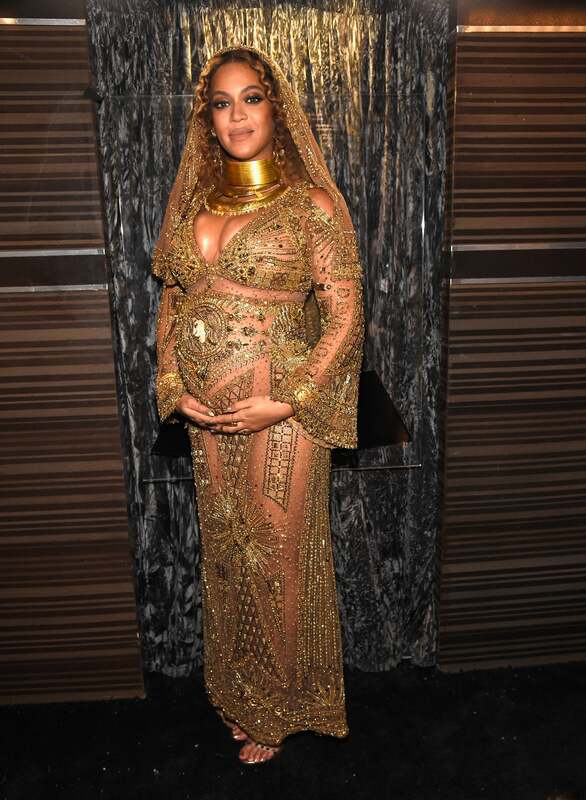 Beyoncé is set to welcome not one but two bundles of joy into the world and the Queen is showing no signs of slowing when it comes to style. From her now iconic pregnancy announcement to super chic nights out on the town, here are Beyonce’s most fabulous pregnancy style moments. Beyonce rocks an all black ensemble with a floral blazer and sleek black mules. 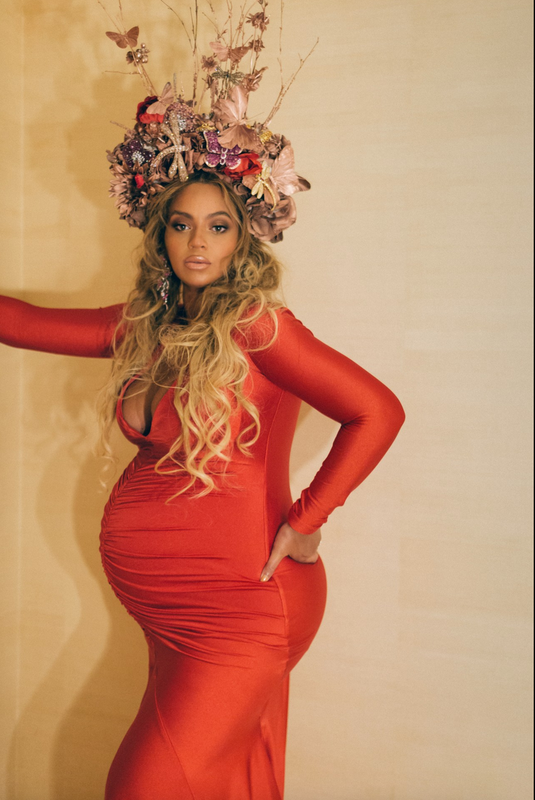 Beyonce stuns in a red Stello gown and an elaborate floral headpiece. Beyonce is killing the game rocking a Maison Valentino dress, Louboutin boots and a Balenciaga clutch. 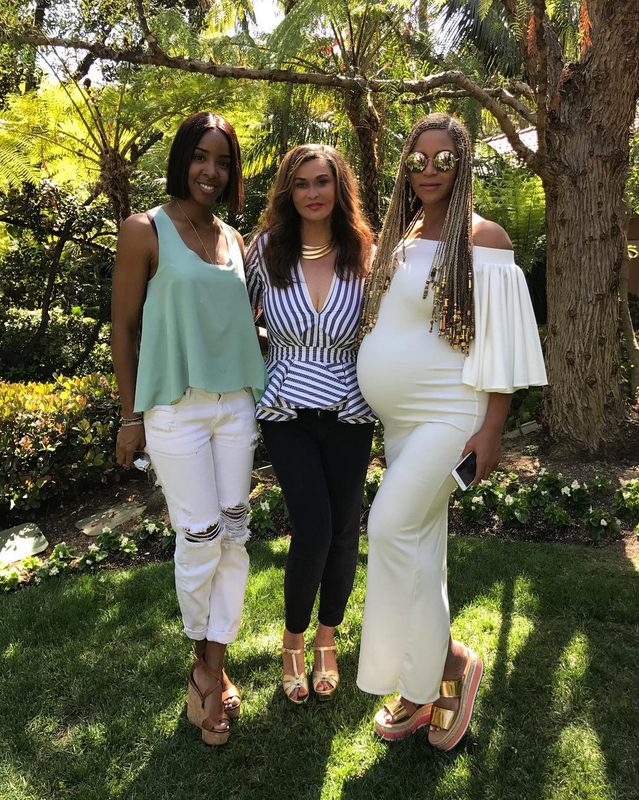 Beyonce poses on Easter Sunday in a Mina Roe ruffled dress and Prada metallic platform sandals. Queen Bey does it once again in a classy floor-length blue gown paired with shimmering jewels for date night. Beyonce is fabulously decked out in a pink trench coat, cream knitted dress and embellished shoes. Beyonce is beyond fabulous while heading out for a family date in a sweeping green Gucci gown. Beyonce heads out for a night on the town in a hot all Black look. 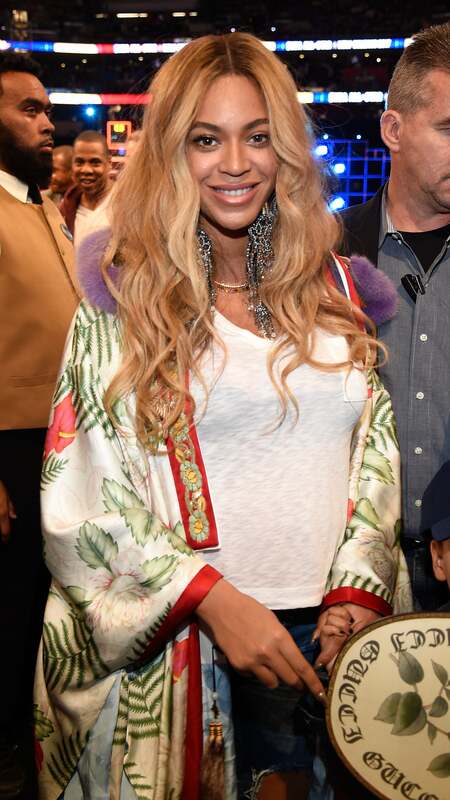 Beyonce stuns in jeans, a white t-shirt and a grand floor-length Gucci robe. Beyonce heads to a Grammy party rocking a gorgeous emerald green Nicole Miller dress. Beyonce is a shimmering Goddess in a red sequin gown by Peter Dundas. Beyonce attends The 59th GRAMMY Awards in a show-stopping Peter Dundas gown. 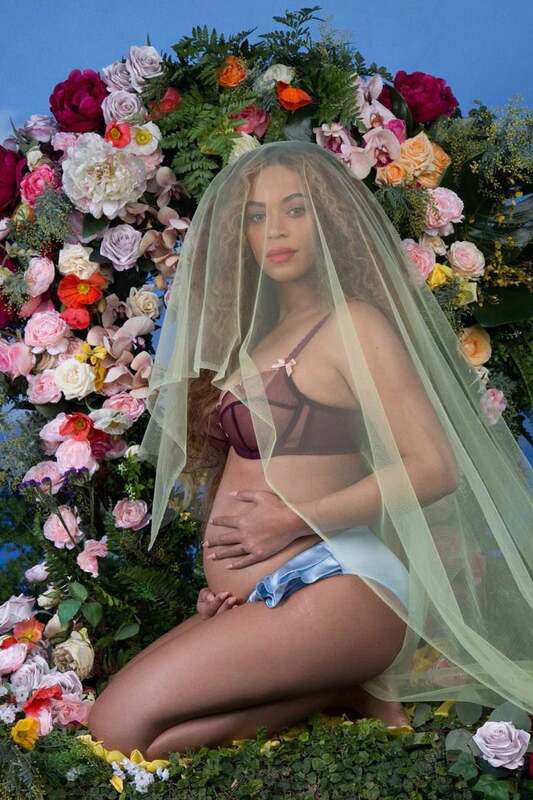 Beyoncé kicked off Black History Month by making history of her own with an insane pregnancy reveal.